I'll say! Just like a squirrel....they're always into everything! Beautiful artwork! Thanks for your fun comment, Patricia. 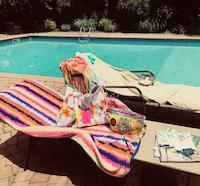 every time I view your masterful art, my mouth is wide open...and the word "wow" always comes out...your work is truly magnificent! this is a favorite for sure..what a beautiful work of art! 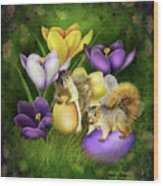 These strange bunnies are hiding the eggs. 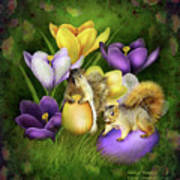 Celebrate the holiday with this painting of two squirrels with colored Easter Eggs in a garden of crocus. 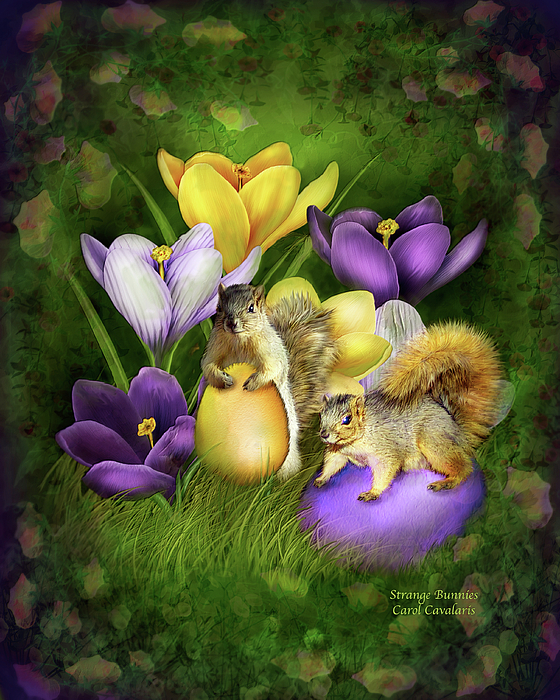 From the Holiday collection of art by Carol Cavalaris.